Realising that if I didn’t get her voice on paper, I might lose it again forever, I pulled off to the side of the road, grabbed an old envelope that was blowing around in the back of the Landrover, and quickly wrote down the words. I drove on to my place, parked the Landie, and raced into the house knowing that I had a new book underway, and feeling very excited about it." 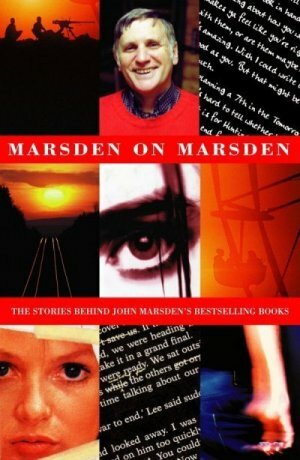 In his fiction John Marsden explores the lives of the guilty, the inarticulate, the crazy, the brave and the resourceful. Read about his ideas and his experiences in "Marsden on Marsden" — a frank, behind-the-scenes look at what John was really thinking about when he wrote books like "So Much to Tell You", "Letters from the Inside" and the internationally acclaimed 'Tomorrow Series'.